On April, 20, 2018 from 11a.m. to 2 p.m. USLI Company of Wayne, PA hosted the Well Aware Health Fair 2018. 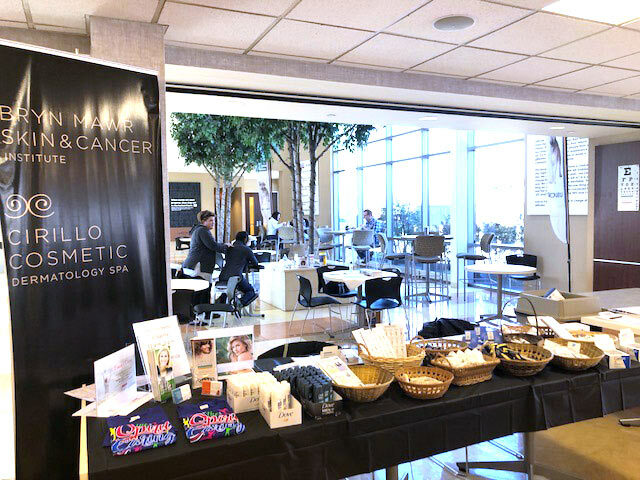 Bryn Mawr Skin & Cancer participated in this special event where they handed out skin care brochures, organized the skin cancer screening schedule for the USLI employees and gave out samples. Our physician assistant, Janet DeSipio examined the participates using the “SPOT me” skin cancer program provided by the American Academy of Dermatology. This was Bryn Mawr Skin & Cancer’s 9th year of participation in USLI’s Health Awareness Program!